Here is a pic via lkygrl17 on Instagram...It's a family QB at a family restaurant. 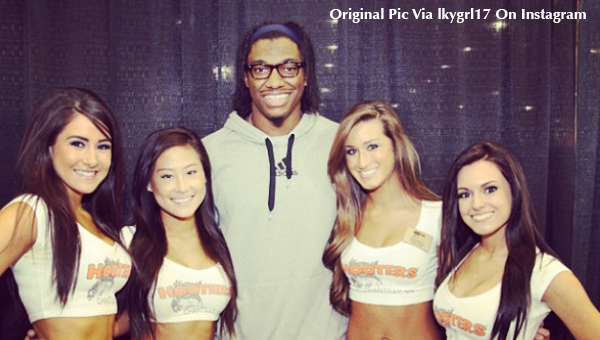 Robert Griffin III poses with Hooters girls. This must have been after an autograph show at the Expo Center.